Omorfee Be exotic Lip Lightening Salve Lip Balm (Rs 549 for 10gm; Full size): I love the natural bamboo packaging. The name of the brand is engraved on one side. Hedonista Brave The Day With Glycerin & Lavender-Vanilla Clear Moisturiser (Rs 525 for 50ml): A scented, light gel that is absorbed by the skin without leaving behind any stickiness. I good moisturizer for humid weather. 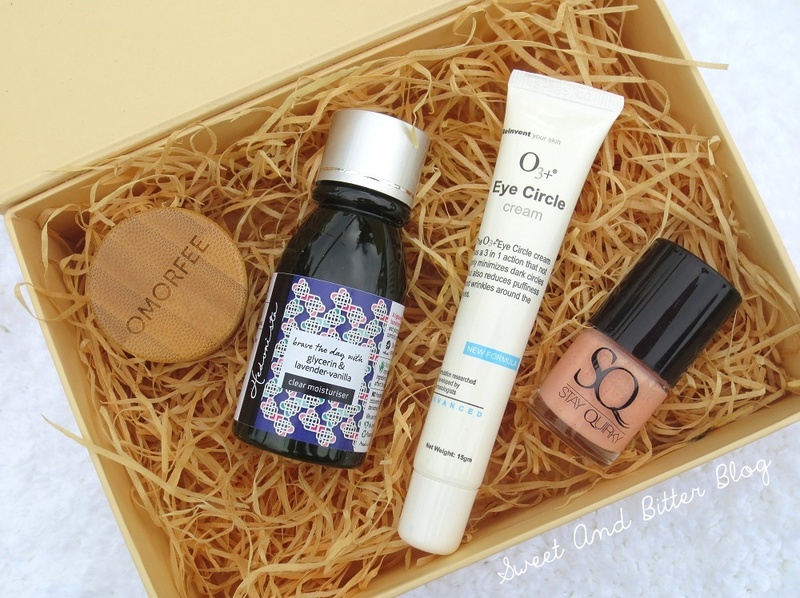 O3+ Eye Circle Cream (Rs 385 for 15ml; Full size): Light moisturizing eye cream with the same fragrance of O3+ skincare products. Stay Quirky Not So Aloof (Rs 250-300 for 8ml; Full size): Textured nail polish - peach with orange specks. But, the texture is a bit more gritty for my liking. Overall: I like that the size of the products is big, there are no small tubes or tubs, all the products are expensive and together they cover the price of My Envy Box. But, someway it does not impact me much. It maybe because there is no famous brand or maybe because I won't be able to use anything other than the Omorfee. I will try to use the moisturizer. But, I always forget to use eye creams. I do not like the texture of the nail polish. 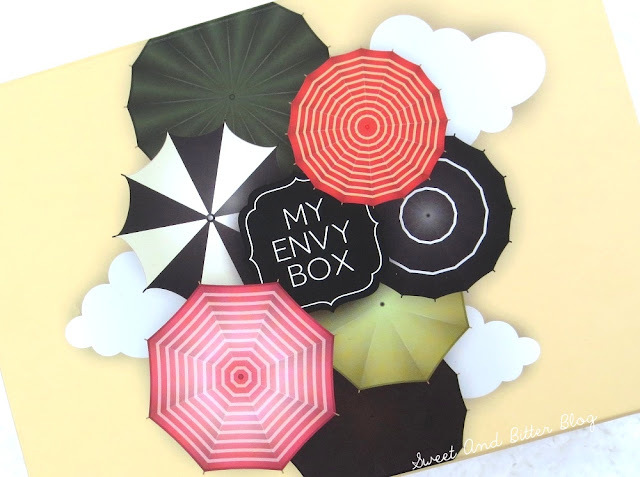 Have you got My Envy Box? Is it a Hit or a Fail? Do comment.